THE MOTHER OF Philando Castile, a black motorist killed by a Minnesota police officer last July, has reached a nearly $3 million (about €2.7 million) settlement with the city that employed the officer. The deal means avoiding a federal wrongful death lawsuit that attorneys said could have taken years to resolve. The settlement to be paid to Valerie Castile, who is the family’s trustee, was announced today and comes less than two weeks after officer Jeronimo Yanez was acquitted of manslaughter and other charges connected to her son’s death. Castile, a 32-year-old elementary school cafeteria worker, was shot five times by Yanez during a traffic stop after Castile told the officer he was armed. Castile had a permit for his gun. The shooting gained widespread attention after Castile’s girlfriend, who was in the car with her then four-year-old daughter, livestreamed its gruesome aftermath on Facebook. The acquittal of Yanez, who is Latino, prompted days of protests, including one in St Paul that shut down a motorway, Interstate 94, for hours and ended with 18 arrests. The $2.995 million settlement for Valerie Castile will be paid by the League of Minnesota Cities Insurance Trust, which holds the insurance policy for the city of St Anthony. The plan for distribution of funds requires approval by a state court, which could take several weeks. 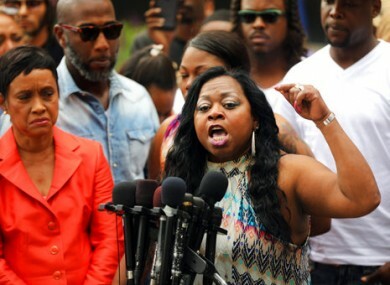 Robert Bennett, who along with attorney Glenda Hatchett is representing Valerie Castile, said a decision was made to move expeditiously rather than have the case drawn out in federal court, a process that would “exacerbate and reopen terrible wounds”. The settlement will also allow the family, the city and community to work toward healing, Bennett said. “No amount of money could ever replace Philando,” a joint statement from the attorneys and city of St Anthony said. With resolution of the claims the family will continue to deal with their loss through the important work of the Philando Castile Relief Foundation. Bennett said the foundation’s mission is to provide financial support, grief counseling, scholarships and other help to individuals and families affected by gun violence and police violence. Bennett said Castile’s girlfriend, Diamond Reynolds, is not part of the settlement. Reynolds has also hired an attorney, but it’s not clear if she is still planning a lawsuit or has any standing for a federal claim. Reynolds’ attorney did not respond to requests for comment. Darin Richardson, claims manager with the League of Minnesota Cities, said St Anthony’s insurance coverage is $3 million per occurrence. If Reynolds were to file and win a claim, the city’s remaining $5,000 (about €4,470) in coverage would be paid to her, and St Anthony would have to cover any additional money awarded. The settlement happened faster than others stemming from the killings of black men by police officers elsewhere. Last week, a $1.5 million (about €1.3 million) settlement was reached in the case of Michael Brown, an unarmed 18-year-old who was killed by a white officer in Ferguson, Missouri. That settlement came nearly three years after the death of Brown, whose parents sued the city. Bennett said his decades-long relationship with Joe Flynn, the attorney who represented St Anthony in Castile’s case, helped bring a quick resolution. He also said the city of St Anthony has a commitment to make positive changes to their police department. The city is undergoing a voluntary review by the Department of Justice’s Office of Community Oriented Policing Services, with the goal of improving trust between the police department and the communities it serves. The squad car video shows the shooting, but does not show what happened inside the car or what Yanez saw, leaving room for reasonable doubt. The status of that separation is unknown. Today’s joint statement said no taxpayer money will be used to fund Valerie Castile’s settlement. The League of Minnesota Cities Insurance Trust is a cooperative in which Minnesota cities contribute premiums into a jointly owned risk pool that is used to pay claims. Email “Philando Castile's family reaches $3m settlement over his death ”. Feedback on “Philando Castile's family reaches $3m settlement over his death ”.